The design is all about paying respect to the code effect in the movie The Matrix. This deck also represents Bomb Magic's brand image: time is constantly changing, we should always keep ourselves abreast of time, try to go beyond ourselves, and make sure we stick to our original design style at the same time. The high-tech style of the back design is aiming to demonstrate the code effect, which also conceals the whole marking system. 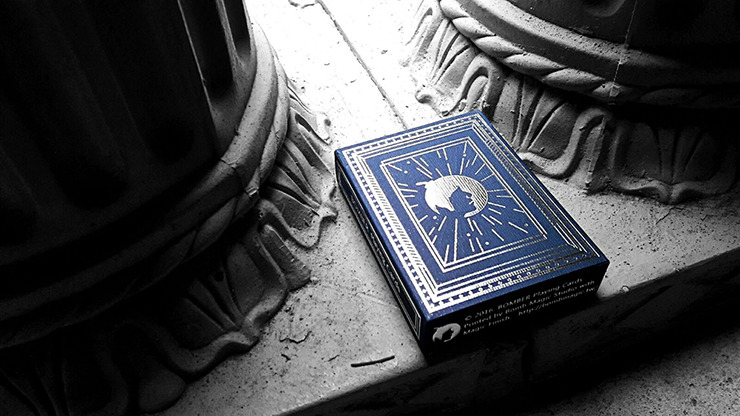 This deck of cards is definitely meant to be used in performing magic tricks!